With a stay at 4Seasons Mezquitilla Apartment, you'll be centrally located in Malaga, steps from Museo de Artes y Costumbres Populares and Plaza de la Constitucion. This apartment is within close proximity of Mercado de Atarazanas and Carmen Thyssen Museum.Rooms Make yourself at home in one of the air-conditioned rooms featuring kitchens with refrigerators and ovens. 32-inch flat-screen televisions with digital programming provide entertainment, while complimentary wireless Internet access keeps you connected. Conveniences include separate sitting areas and microwaves, and housekeeping is provided on a limited basis.Dining Grab a bite from a grocery/convenience store serving guests of 4Seasons Mezquitilla Apartment.Business, Other Amenities Featured amenities include express check-in, express check-out, and multilingual staff. ** Please note that some of the above facilities may be closed due to weather / seasonal conditions. The exterior of the building is modern. 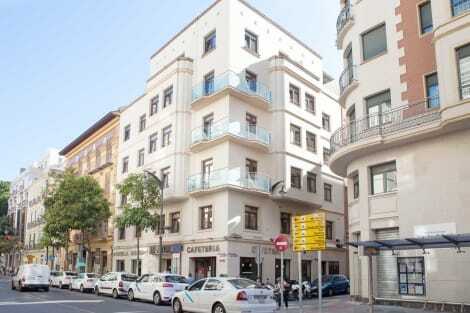 This modern hotel is situated at the heart of the historical centre of Malaga. 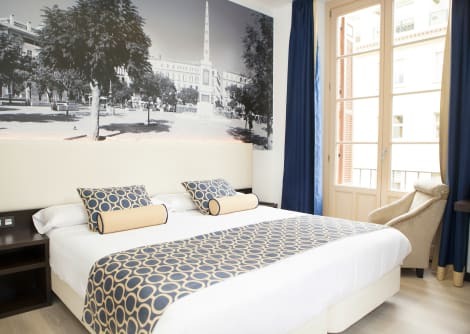 The hotel is located within easy access of a number of attractions in the city, lying just 100 metres from Constitution Square and 400 metres from the Cathedral of Malaga. The hotel is set facing the Thyssen Museum, and sits just a short walking distance from the Picasso Museum and Calle Larios. The hotel is conveniently located just 10 km from Malaga Airport. This contemporary hotel adds a splash of modern style to its surroundings. 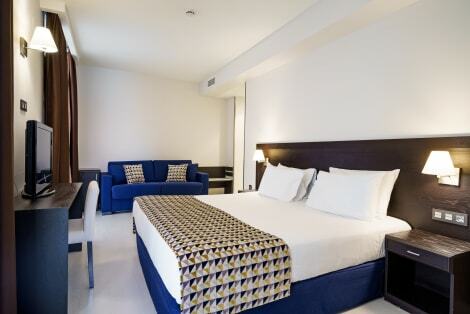 The guest rooms are elegantly appointed, offering a refreshing setting in which to work and rest in comfort. Guests can enjoy a host of excellent facilities at this hotel, and are assured of an unforgettable experience. Found in the heart of Malaga, the 3-star Soho Boutique Malaga is just a few minutes’ walk from the beach and close to the cathedral, as well as public transport links. The hotel has a 24-hour reception, offering car and bike rental services, a snack bar and room service. Each room features modern furnishings, a flat-screen TV with international channels, safe and private bathroom with shower or tub. With a stay at Hotel Castilla Guerrero in Malaga (Centro), you'll be within a 5-minute walk of Port of Malaga and Calle Larios. This hotel is 0.4 mi (0.7 km) from Malaga Cathedral and 0.5 mi (0.8 km) from Picasso Museum Malaga.